Michael Brown Sr. shakes hands with Ferguson's City Council members after a special session in which the council voted to agree to the terms of a Department of Justice consent decree. Ferguson has decided to adopt the Department of Justice’s consent decree that has made headlines over the past year. The City Council initially rejected the decree and attempted to implement changes. Members have now changed their minds. “This is the best way for us to move forward together. There’s still a lot of work to be done. This is a step in the right direction,” said Mayor James Knowles. The proposed agreement between Ferguson and the U.S. Department of Justice calls for significant changes to the city’s police department and government structure, including the use of body cameras, better community policing, more police training and changes in certain municipal codes. The City Council initially rejected parts of the decree because of the burden it placed on the city. Members said then they would agree to the proposal if changes were made to eliminate a mandate to pay city employees higher salaries, extend the deadlines for compliance, and no longer apply the decree to other governmental entities. Zeke Davis-Isgrig, right, Dennis Bailey, center, and Isaiah Davis-Isgrig hold up signs during the public comment portion of Tuesday's meeting. Jan. 27 – Ferguson releases draft of federal consent decree from the Department of Justice. The document is 131 pages and outlines the proposed changes to Ferguson’s police and government. End of January – The public begins to respond. Feb. 2 – The first public forum is held regarding the decree. Opinions among attendees are divided. Feb. 9 - At the third public forum, the city council rejects the decree as written and attaches provisions. They cite the cost of overhauling departments as a primary concern. Supporters of the decree express anger and outrage. Feb. 10 – The Department of Justice files suit to force compliance with the consent decree. “Their decision leaves us no further choice," said Attorney General Loretta Lynch. 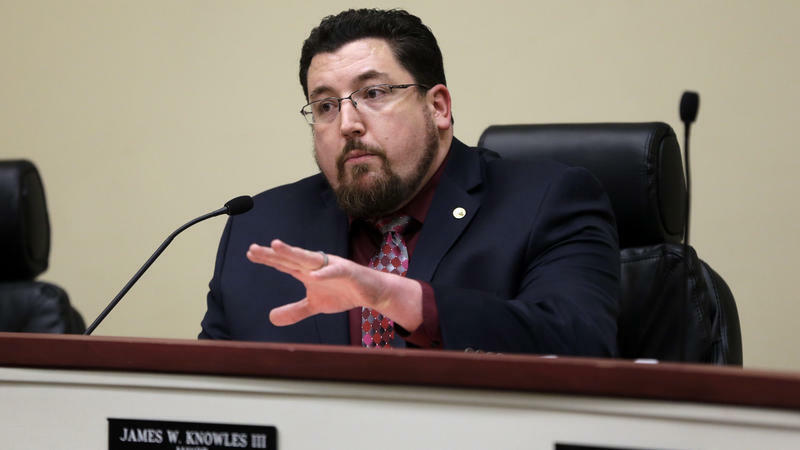 Feb. 12 – Mayor James Knowles says 'There was no agreement' previously negotiated. Feb. 23 – Protests in support of the decree erupt at the first Ferguson City Council meeting after the DOJ suit is filed. March 6 – Ferguson council members say the consent decree will likely be brought back before City Council. 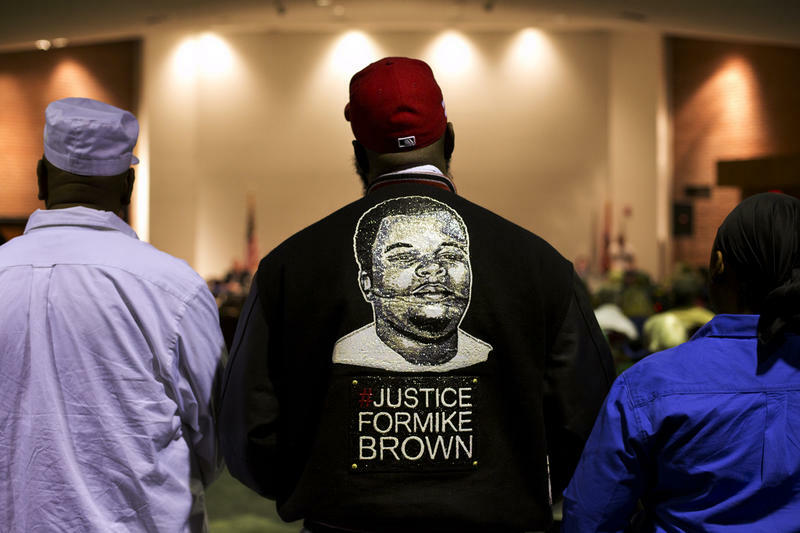 March 7 – The Department of Justice declares a willingness to litigate over the decree but offers Ferguson the chance to avoid the suit by signing the agreement. March 8 – Approval of the consent decree appears likely. 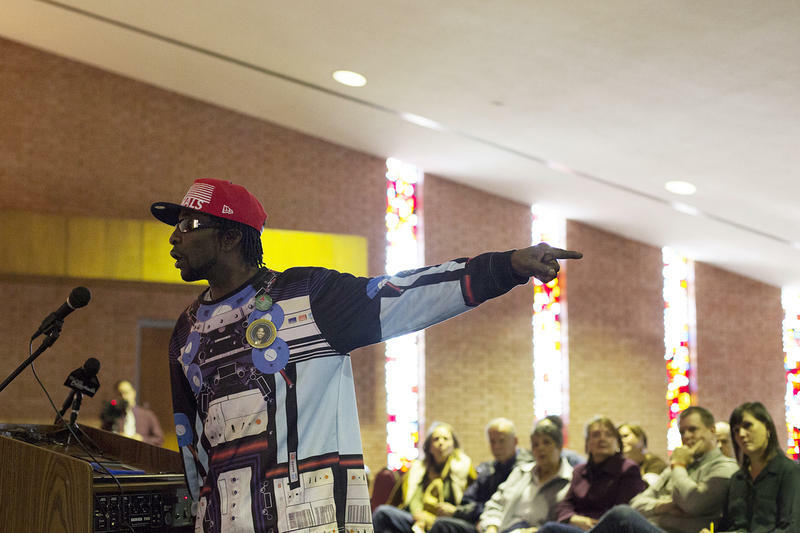 March 15 – The Ferguson City Council votes in favor of approving the consent decree. Ferguson activists and residents listen to public comments before the city council's vote on the consent decree. Cheers greeted the council members after the vote was unanimously made to support the consent decree. Michael Brown Sr. shook Mayor Knowles’ hand and expressed support of the council’s decision. “It’s sad it took a loss for people to clean up what they’d been doing forever. You gotta start somewhere, and by them trying to start and change something in honor of Mike Brown Jr., actually, it’s beautiful,” said Brown. “At the end of the day I still lost my son, you know, nothing can ever bring him back,” he said. 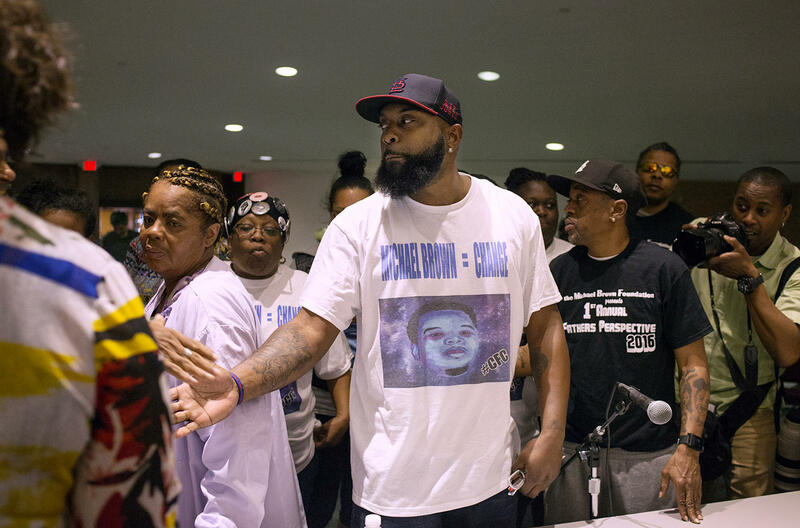 Michael Brown Sr. and organizers with his Chosen for Change Foundation talk outside the Ferguson Community Center after the City Council's vote to approve the terms of the Department of Justice's consent decree. The decree still has to be approved by a judge after negotiations regarding specific language take place between lawyers representing Ferguson and their counterparts from the Department of Justice. The city has tax proposals on the April 5 ballot that are designed to tackle a budget deficit. Behind the Headlines: What is going on in Ferguson? In our weekly "Behind the Headlines" segment, “St. Louis on the Air” contributor Steve Poetter discussed the top news stories that caught St. Louisans’ attention this week, with the people that produced them and influenced them. There was one story on everyone's mind this week that needed further explanation and analysis: the Ferguson consent decree. The Ferguson City Council appears poised to approve a consent decree with the federal government, which aims to transform the beleaguered city’s police department and government. It’s a move that could ultimately spare a financially struggling town from costly litigation with the Department of Justice.